Tyler Kovall has more than 18 years of experience in the Transportation & Logistics industry, providing a range of solutions to all aspects of the industry. After working for 18 years in the Logistics industry, Tyler wanted to bring a change in handling the intricate and complicated procedures of Tracking & Tracing aspect of the business. The idea was to not only make operations seamless, but also help other players in the industry. The software must cut their tracking & tracing department’s time and provide the ability to monitor the movement of a shipment throughout the entire shipment cycle. From 3PLs, Freight Brokers, Freight Forwarders, and fleet owners, the client required that every player in the industry can have an access to a new and improved way to track and trace drivers/carriers, and help customers locate their products at all times. After studying the complexities of the logistics and transport industry, and working pattern of the driver’s, Pulse Solutions proposed to designed an app offering an automated track and trace system for brokered loads with a variety of tools, to handle the tracking of freights. With over 70% of drivers using Smartphone, Pulse Solutions planned to design a state-of-the-art technology app built to work on all Android and Apple devices, that addresses the needs of the transport industry, and provide all the information from start to finish. Real-time alerts for traffic and breakdown information: Helping to plan the delivery routes with the help of real-time traffic alerts. Accept POD signature on phone: To make the entire delivery process transparent and hassle free for both customers and clients. Transmit load delivery photo: Provides the capability for the customers to access BOL image instantaneously from Watchboard. Watchboard: Direct access to all the information, right from locating the entire fleet on one screen to monitoring the equipment throughout the day. Details about driver’s activity: Breaks, fuel stop, deviations from the route, or non-movement of the vehicle. 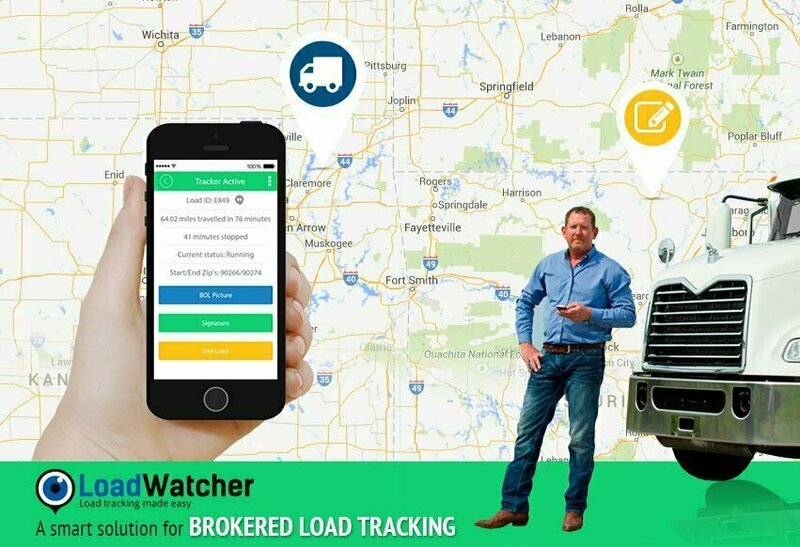 With access to all the required information directly on the Watchboard, and eliminating the need to call the driver multiple times in a day, LoadWatcher helped customers to cut the time spent on tracking the freight load up to 85%. LoadWatcher helps the customer to seamlessly track the entire process, leaving the personnel to do more important tasks and focus on their core responsibilities. With exceptional IT support and cutting edge automated system, Loadwatcher has been successful in helping both carriers and customers to receive all the pertinent information from start to finish at the tips of their fingers.